Arang Kel the Lush Green Village. 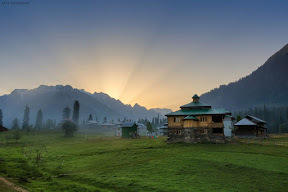 Arang Kel is a lush green village, hill station and tourist spot in Neelam valley. It is located on the hilltop near Kel. The village is accessible by a 2 kilometers (1.2 mi) trek from Kel.